A company of tanks land in your country, what do you do? As Singapore grows in wealth and stature, it attracts a lot of unwanted attitude towards it. Big tree catches wind (树大招风), goes the Chinese saying. Malaysia is increasing its toll charges targeting specifically Singaporean drivers. Indonesia cuts five SG-Jarkata routes from its airports and just last week, a shipment of Singaporean tanks “mysteriously” changes course from Taiwan to Singapore and lands in Hong Kong. Then out of the blue, Beijing tells Singapore that she is displeased with the Republic’s military exercises with Taiwan. Then there’s an anonymous campaign asking PM Lee to “apologise” to China. Welcome to the world of playground politics. It is juvenile, it is schoolboy postulating, but the impact can be pretty real. Once in a while, there are countries that want to play us into their domestic games. Sometimes it is very hard to determine the origin of these games though. Singapore’s relationship with China is far from frosty. 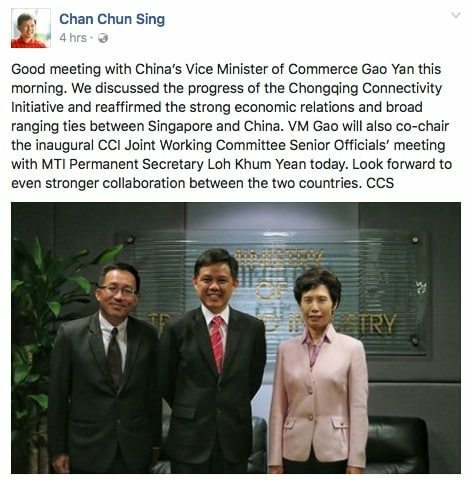 In fact just today, Secretary General of the NTUC met up with China’s Vice Minister of Commerce in an agenda that would forward economic initiatives between the countries. The Republic’s ties with China has continuously been very warm; even hosting China’s top premiers and President Xi. The latest tank incidents in Hong Kong are curiously fuelled by the South China Morning Post. Since the incident, they’ve published opinions after articles, many criticising Singapore. Curiously also, it is the Hong Kong based agency FactWire that broke the news. If you recall, it is FactWire that previously had firsthand access to the news of defective SMRT trains being sent back to China for repairs. a.) How on earth did this particular shipment get diverted to Hong Kong and unloaded? If you’re a sovereign country and you discover a company of tanks being unloaded into your ports, from an enemy territory, what do you do? How will you respond? b.) How did FactWire get access to this news? Was this a result of very good investigation, or is there something more sinister behind it? c.) Even if China was displeased with Singapore’s position (or rather, refusal to take a position) on the South China Sea, is this (the impounding of tanks) their style of showing displeasure? China has a whole suite of leverage over Singapore and the modus operandi here is far too simplistic. “I personally do not think we should complicate this simple incident,” said Xu Guangyu, a retired Major General at the People’s Liberation Army . “It should just be handled according to the relevant maritime law. It does trigger speculation in such an international atmosphere, but I believe it is an accident, not something done on purpose to create tension,” Xu said. 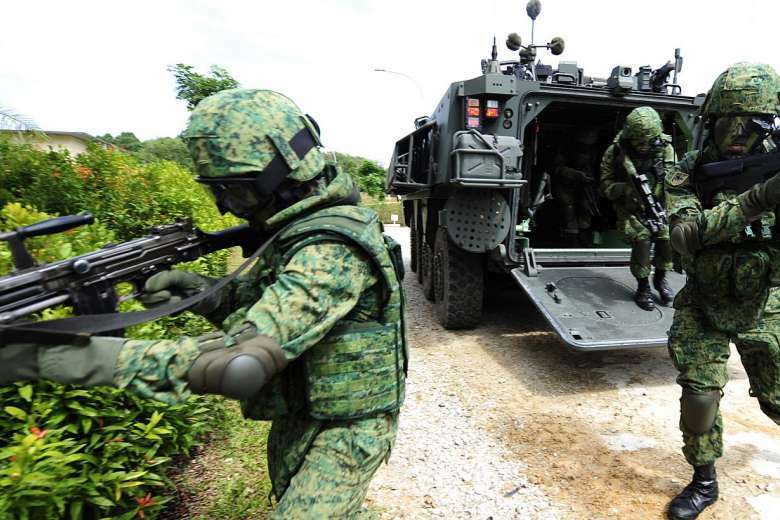 “Even if China wants to send Singapore a signal, there are numerous ways and channels. This case as leverage is just too loose and weak”. d.) What is Hong Kong’s role in this dispute? Why is the South China Morning Post so keen on publishing extensive opinion pieces about how “relations between Singapore and China have soured”, when, demonstrated by the tremendous amounts of collaborations and partnerships between the countries – it actually isn’t so? So perhaps we should all just take these reports with a pinch of salt, grab some popcorn and sit back to enjoy the political drama unfolding before us because really it could be much ado about nothing. As we let these big boys play their game of global politics, we need to steer ourselves clear away of their agenda. All we need to do is to be mindful of what’s important to us. And what is important to us, is the welfare and survival of our inhabitants. The only principal that allows Singapore to thrive and punch above its weight is our obsession with the rule of law. Singapore cannot survive without the rule of law. It is our only link to justice and fairness, it is our only hope for survival in the world. That is why we are so hard on ourselves when it comes to justice. That is why we fight tooth and nail to enforce treaties we have negotiated, to respect international adjudications and to stand by commitments and words spoken made on an international level. That’s why we are taken seriously. We cannot allow money and power, or the fear of it, to become the arbitrators of dispute. If it does, Singapore will decay and become infested with politicians that care more for private wealth than it does for public well-being. It does not matter which ocean the typhoon of coercion originates, the Singapore tree will not bow to winds that serve no good purpose for us.